"5 Reasons To Modernize Your Data Center With Converged Infrastructure"
Start / Explore / Newsroom / "5 Reasons To Modernize Your Data Center With Converged Infrastructure"
Joo is an experienced management and technology consultant with over fifteen years of experience in industry verticals ranging from consumer marketing to entertainment and media. He specializes in all aspects of the digital enterprise, including systems of engagement, experience management, predictive analytics and the Internet of Things. 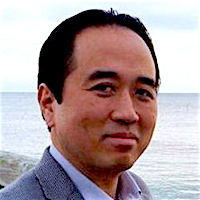 In his current role, Joo leads the architecture, design and implementation of complex programs to support digital transformation, including mobility, omni-channel marketing, CRM, user experience and analytics. Converged infrastructure is transforming how organizations' are setting up and maintaining Data centers. This will lead to cost savings and higher productivity. Forbes, the American business magazine met up with Joo Lee, (Vice President Digital Transformation, Sogeti USA) and for an interview. Joo Lee discussed how Converged infrastructure gives an organization the ability to work on ambitious projects without the worries of poor output or scalablity.